Show off your love for The University of Wisconsin-Madison with this polo! The polo features the WAA-Chapter logo embroidered on the left chest. The pique fabric make for a classic look and feel. The polo is detailed with a solid trim, three button placket, and dyed to match polished pearl buttons. The even-hem bottom with tailored sized vents are ideal for leaving un-tucked. 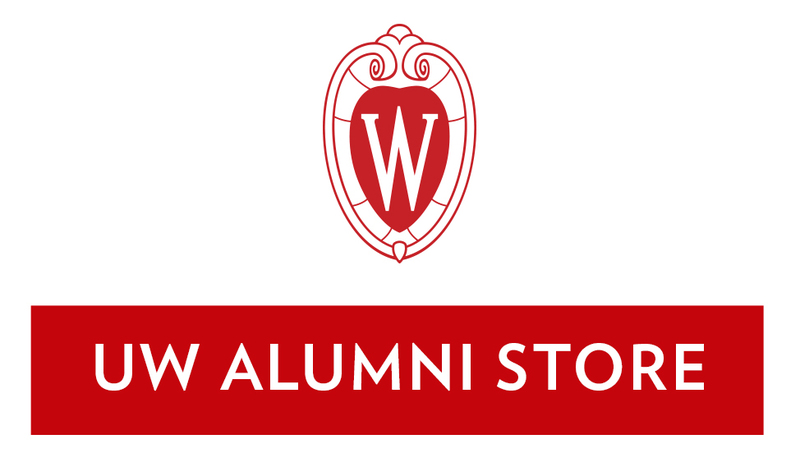 You will be prompted to select your Alumni Chapter after you select your size and hit add to cart. This item is custom so it will take longer to process. Your order will be shipped 4-6 weeks after placed. Get ready for March Madness with this new shooter shirt! The red and white long sleeve features "Wisconsin" printed across the chest with "2019, Unleash Chaos" down the sleeve. The soft material feels great and will keep you cool and dry. Cheer on the Wisconsin Badgers with this coldgear hoodie. The fabric will keep you nice and warm during basketball season while still wicking away moisture! The front is detailed with "Wisconsin Basketball" printed above the Wisconsin motion W. The slight scuba collar adds extra warmth and style. The 3-piece hood is perfect for keeping out those cold Wisconsin winds. Enjoy a game of golf in this lightweight Wisconsin polo. Red polo with gray and white striped detail. Embroidered motion W and "Wisconsin" on the left chest. Available up to size 3X-Large. Enjoy a game of golf in this lightweight Wisconsin polo. Black polo with red and white striped detail. Embroidered motion W and "Wisconsin" on the left chest. Golf in style with this comfortable Wisconsin Badgers polo. Dark red polo with tonal stripe detail. Featured an embroidered motion W on the left chest. Made of breathable fabric to keep you cool and dry all day long. Flat knit collar, open cuff, and 3-button placket. Golf in style with this comfortable Wisconsin Badgers polo. Black polo with tonal stripe detail. Featured an embroidered motion W on the left chest. Made of beathable material to keep you cool and dry all day long. Flat knit collar, open cuff, and 3-button placket. This button down shirt is the perfect way to show off your love for Wisconsin in a professional setting. The black and white check pattern makes for an updated look. Detailed with an embroidered shield W on the left chest. The shirt features a self-fabric collar, chest pocket, and cuffs. Tail bottom and button sleeve placket. Show your Wisconsin spirit with this fun tee that shows Bucky Badger on the front and the back. Red t-shirt imprinted with "WISCONSIN" and BUCKY coming on the front and going on the back. If you're a Wisconsin Alumni, let everyone know with this Badger t-shirt. Red t-shirt with "Once a Badger Always a Badger" and Bucky printed on the front. Perfect for Alumni! Gray T-shirt with "Wisconsin Dad" print on front. Perfect for any Badger father! Enjoy a festive Irish shirt while supporting your Wisconsin Badgers. Green 3X t-shirt with "IRISH You Were A Badger" printed on front. © Copyright Wisconsin Alumni Association®. All rights reserved.